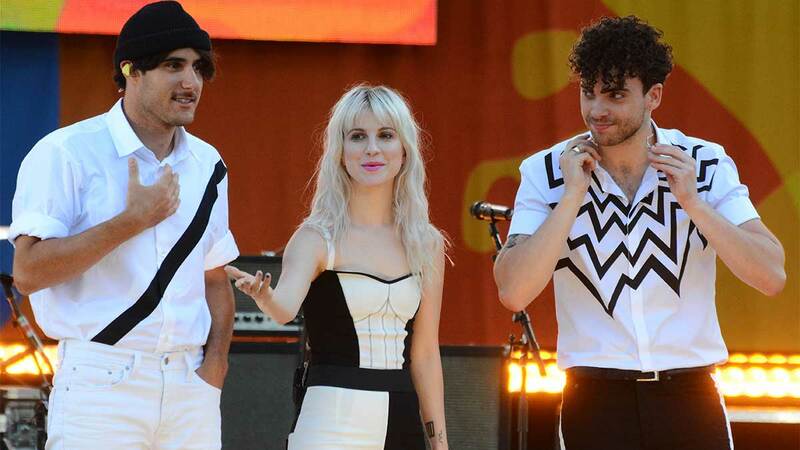 By now, we all know that Paramore frontwoman Hayley Williams announced that the band will be "retiring" one of their earliest hits, a song called "Misery Business." "Tonight, we're playing the song for the last time for a really long time. This is a choice that we have made because we feel that we should. We feel like it's time to move away from it for a little while," the singer said after a recent performance in Nashville. So the question is, why? Fans were in an uproar after receiving the news, calling out "sensitive" people for being offended by words such as "whore." The hit song has been criticized in the past for its lyrics being "anti-feminist." One line, in particular, stands out: "Once a whore, you're nothing more, I'm sorry that'll never change." Hayley herself, however, has stated in the past that she "can't relate to the song anymore," mostly because she penned those lyrics back when she was 17. She addressed the criticism in a blog post in 2015: "It wasn't really meant to be this big philosophical statement about anything. It was quite literally a page in my diary about a singular moment I experienced as a high schooler." And while we're sad that they won't include the song in set lists anymore, we understand where Hayley's coming from. After all, who wants to have their teenage diary entries up for everyone to see (or hear) forever? We can't watch them perform "Misery Business" but we can listen to a live recording of it (still not the same, though)!